Prøveforelesning og disputas er åpen for alle interesserte. Rom A - 260. 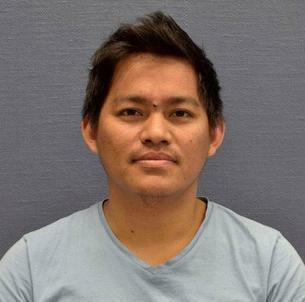 Khim Chhantyal received his Master of Science in System and Control Engineering from University of South-Eastern Norway (USN), in 2014. He has been doing his PhD studies since September 2014, related to the flowmetering of drilling fluid, usually non-Newtonian, used in drilling operations as practiced in the oil and gas industries as well as geothermal applications. Non-Newtonian fluids are complex fluids with interdependent densities, viscosities and fluid flow velocities. He has submitted his thesis with the title, “Sensor Data Fusion based Modelling of Drilling Fluid Return Flow through Open Channels”, and the defense of his thesis is planned to be held on Thursday the 20th of September 2018. Based on extensive pilot scale rig for drilling fluids in the process laboratory of USN, Khim Chhantyal has studied different flow measurement systems for open channel flow measurements of drilling fluids. After studying existing measurement systems for drilling fluids, he used non-intrusive and non-invasive ultrasonic sensors for measuring the levels of the drilling fluid at different points in the open channel. Based on these multiple level measurements of the drilling fluid, using custom-made machine learning algorithms, Khim Chhantyal estimated the drilling fluid flow in open channels. The estimated drilling flow has been verified using other flowmetering techniques, which are costly in purchase and maintenance. Khim Chhantyals’s algorithms for flowmetering help to have a continuous check on in- and outflow of the drilling fluid in the circulation loop and hence can be used to detect kick and fluid loss. These techniques based on real time processing of the ultrasonic level measurements in open channel help the early detection of kick and fluid loss and hence can be used to control the downhole pressure contributing to increased safety and reduced the drilling costs. Khim Chhantyal’s research work is very closely related to the project SEMI-KIDD, supported by the Research Council of Norway, EQUINOR with a group of companies. Khim Chhantyal collaborated closely with EQUINOR’s research laboratory in Herøya, Telemark, especially in conjunction with characterization of the model drilling fluids used in the experimental studies.